I’m kicking off joy week with this “oldie but goodie” post that happens to be the second most popular post in the history of Bliss Habits. I love this post because everything on this list stands true today. I also love that this post was effortless yet super joy inducing to write. It actually inspires me to think of even more things that bring me joy so I’ve decided I’m going do an update to this post. I encourage you to do the same! Whether you have a blog or not, write down seven things that bring you joy. Share that list with your friends and family, over here in a comment or over on our Bliss Habits Facebook page because sharing our joy does multiply it. So here’s to JOY! I’ll see you later with my updated list, (here it is!) and I’d love to hear all about yours too!! This week at Bliss Habits we have been concentrating on ways to bring more joy into our lives. Today I’m going in a little different direction and have decided to skip the “how to” and share a few things that bring me joy. This is by no means a definitive list, they are just a few that were on my mind this morning. Perhaps my list will inspire your own and/or bring you some joy too! My Girl – Topping the list of things that bring me joy is my Daughter. I am delighted by her every day. I am sharing this picture of her because it is a bit of a twofer for this list because goats bring her a supreme amount of joy. There is a little animal park near our home and she asks to “visit the goats” on a nearly weekly basis. Based on the goat’s look here it seems to be a two way affection, perhaps making this a joy three-fer! Bacon Chocolate – Actually I don’t like the stuff at all but it brings me a supreme amount of joy today because my Sweetie was thinking of me when he bought it. He thought we would love it, given our normal avarice for all things bacon but it was a flop. It is symbolic of how my husband is always thinking of me and how he takes the time to surprise me with little treats. Kürbiskernöl – Which is Austrian Green Pumpkin Seed Oil. This delightful flavor hadn’t crossed my lips for years until last night when the Sweetie took me to the Naschmarkt an Austrian restaurant for our date night. I was an exchange student in Austria and I became obsessed with this salad oil when I was there. I am now reminded to get some for my home! Weedy Sea Dragons – I’ve mentioned these guys, or actually their cousins the leafy ones, before in my 48 things I am Passionate about list. Have you ever watched one swim? Entirely magical. They don’t look like they could possibly be real yet there they are… any time I get the chance I will watch them. Go here to watch a pair in courtship dance… pure Joy! 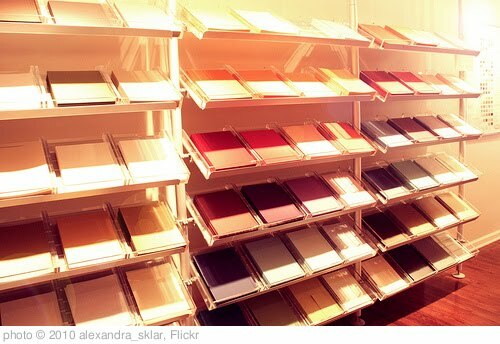 Paper and Office Supply Stores – I ADORE paper stores. I particularly love the super fancy very expensive paper stores. I can wander for hours, feeling the textures, looking at the gorgeous prints or even slight shade variations in the stationary papers. I imagine all sorts of uses for the amazing stuff and imagine what it would be like to own such a store. When such a store is not available Office Max will do in a pinch. At least they have tidy rows of paper. I don’t know why but I just love that. The First Sip of Coffee – I drink coffee in the morning. I haven’t always been a coffee drinker but ever since my Sweetie started having it available on my nightstand in the morning I look forward to it. In our routine he wakes first and leaves a carafe and cup waiting for me. I get to wake slowly and when I am ready that first sip is waiting. There is something so marvelous about it, knowing Rob has left it for me and the way that it smells and then the warmth hits my tongue. I can skip the rest of the cup but I’ve come to count on that first sip! Daisies – They are the most perfect happy flower for me. Many people love roses but it is the simple daisy that wins my heart. Pure joy with a stem! ← 52 Weeks of Bliss start NOW! As for number one on your list, well…. she is just PURE joy! What a beautiful spirit that little girl has. Her energy seeps into everyone who has the pleasure of hearing of her! Thanks Jennifer! That Bacon Pancake is awesome!!! The morning before you start traveling is a joy of mine. The anticipation, a bit of anxiety, the hope, and the wonder of what could happen that day. You might be surprised, I was sure I would too! The morning before traveling would make my list too! Love it! I’m with you on the paper but most of all what brings me joy is the landscape and the sky, whenever I really notice it, I just melt and my heart opens so wide to embrace it all. Good one Jackie. That’s the trick eh? Getting present to it! Good reminder. I loved your post and am so jealous that your husband leaves you coffee on your nightstand! I am with you on that first sip of coffee! When I need to perk myself up, I head to a bookstore. Even the smell of the books makes me happy. I could spend all day browsing the shelves. OOOH I love a bookstore too! These are brilliant – and even more amazing, they almost completely match mine! My seven would be: My hubby, my daughters (I have three girls), chocolate (without the bacon! ), paper/stationery/crafitng materials, poppies and sunflowers, also the first sip of coffee in the morning (sets me up for the day) and, believe it or not, sea horses (of all kinds)! I think I’d have to add to my list though because I don’t think I’d manage without my birds (I love to go birdwatching with hubby at every opportunity, much to my youngest daughter’s disgust!) Great post, thank you! Karen the more I find out about you the more I like you! LOL were we twins separated at birth? What is it about paper?? Thanks for visiting Caroline. Me? Paper, right now. Can’t get enough! Afternoon tea, after I swim. Like you with your coffee- that first sip…. heaven. I know the most challenging part of my day is over (well, most days) and I can get on with the good stuff that doesn’t require me to be in a tight Speedo! My garden. It’s coming back to life after a hot and rainy summer. Beautiful weather and opening the windows and doors to let it flow through the house. I swear, the energy changes. Chel, your swimming routine is a total inspiration! Thanks for chiming in! Nice post. It is important that joy comes from some simple things. The things that never fail to give me joy are the moment my beloved comes home from work, bookstores (especially old-fashioned ones), craft stores, fresh apple juice, blueberries, and blue hydrangeas. My husband brings me my coffee every morning too! I so appreciate it. Nice to see someone much like ourselves! Found you through #FBF at Chasing Joy. I appreciate your list and photos. Mmmh, bacon chocolate … not sure I would have liked that either. Recently I modified a coconut brownie recipe and turned it into ‘chocolate’ and I love it, especially since I know I get a good dose of coconut oil and coconut flour with each piece. Thank you so much Yorinda! I’m so glad you enjoyed it!